Through offering emergency food boxes, events for seniors and veterans, computer services and group exercise classes, the Pigeon Community Multicultural Development Center seeks to strengthen harmony among residents and re-establish the long-standing tradition of community as family. Emergency food boxes with enough food for about four meals are available upon request. Resources are limited to one box per family per month or every 30 days. Boxes typically contain canned food and, if available, meat, bread and produce. Most food comes from Manna Food Bank or food drives to supplement the pantry. The Pigeon Community Multicultural Development Center distributes 20 to 50 emergency food boxes each month. Who: Anyone in Haywood County who needs a food box may request assistance with a phone call. There are no eligibility requirements, and no application process other than general contact and family demographics information. Request a food box: Call the center at 828-452-7232 and leave a message. Someone from the center will call back to find out what is needed and make arrangements. Want to help? Help pick up and transport food for the pantry. Assist with distribution. Help organize the Pigeon Center’s food pantry non-perishable food donations always needed. Gather for fellowship, cards and games at noon, and enjoy a healthy meal monthly at the Pigeon Center. Want to go? Reserve your spot for the next senior dinner by calling the center at 828-452-7232 or sending an email to pigeoncommunityd@bellsouth.net. Up to 50 diners can be accommodated. Want to help? Volunteers help prepare the meal, serve and clean up afterward. Every day is Veterans Day. Veterans from the Charles George VA Medical Center join local vets for a day of food, fun, special entertainment/information, resource opportunities and fellowship. Who: All local veterans. Up to 75 can be accommodated. Want to go? Reserve your spot for the next Veterans program by calling the center at 828-452-7232 or sending an email to pigeoncommunityd@bellsouth.net. Want to help? Volunteers help prepare the meal, serve and clean up afterward, provide care packages, provide resource information. Seven computers and Wi-Fi internet service are available at the center to allow community members to check email and use online tools to stay connected with family, friends and their community, to prepare for job interviews or to complete class assignments. Upon request, the Pigeon Center may schedule computer literacy classes. Classes cover how to operate a computer, use email, set up an email account, use word processing programs and look up information on the Internet. Cost: Computers at the center and Wi-Fi are free to use when the center is open. 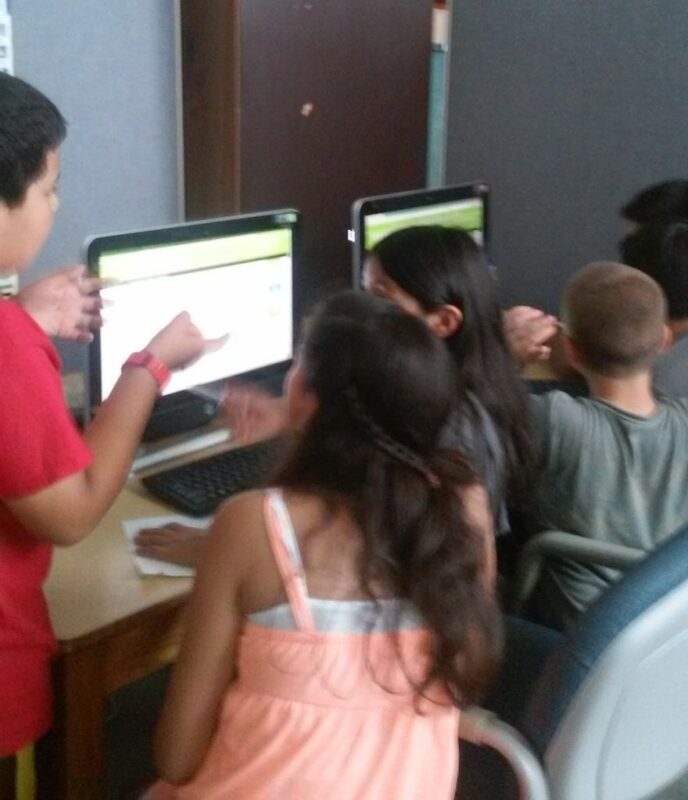 Computer literacy classes are typically $5 to $10 per session. Want to use a computer? Visit the Pigeon Center office to check in before using the computers. Call the center at 828-452-7232 or email pigeoncommunityd@bellsouth.net to find out when the center is open. Zumba exercise classes are held monthly on a Saturday afternoon to promote healthy living for community members. How to participate: Come to the class. No need to pre-register. Can participants show up at the door? Yes.